Pantone have called it – Ultra Violet is the colour you’re going to be seeing everywhere in 2018. Including on nails, of course. Whether it’s Pantone’s influence or not but I’m truly falling for purple nail colour. In fact, I’ve been a fan of purple for quite sometime – a quick revision of the SoNailicious stash revealed whooping 247 purple polishes in my possession. 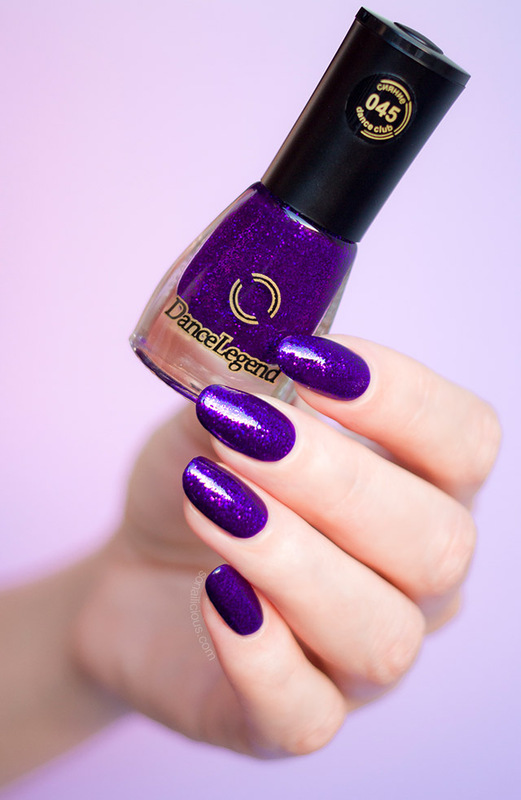 Yet there is one purple nail polish that, in my opinion, truly embodies the spirit of the Ultra Violet – Dance Legend Purple Glitter Rain. This rich purple glitter polish is perfect for a statement manicure and also works great for pedicures. Ever since purchasing it during my trip to Russia I’ve been wearing it often – both on my nails and toes. The ultra shiny glitter looks mesmerizing under direct sunlight and also adds extreme longevity to your manicure. I’ve been wearing it on my toes for good 2 months before it even started chipping (don’t ask me about re-growth… haha). FUN FACT: I own this colour thanks to my 6yo daughter Anastasia! She found Purple Glitter Rain in a nail shop while I was selecting new nail polishes for SoNailiciousBoutique. As I lay my eyes one the beautiful matte nail polishes from Dance Legend Velvet range, Anastasia selects her own favourites. “Mama, you should get these pretty polishes for nail art warriors!” and she shows Dance Legend Purple Glitter Rain, Holographic Rose and Magic Lavender. 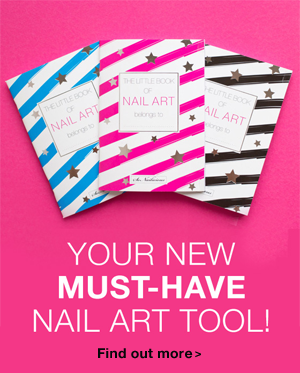 “Well done, Anastasia!” and I purchase them – for myself and for you, nail art warriors too :) All Anastasia’s favourites along with my picks are available now here! Formula: 3-free. Very fast drying. 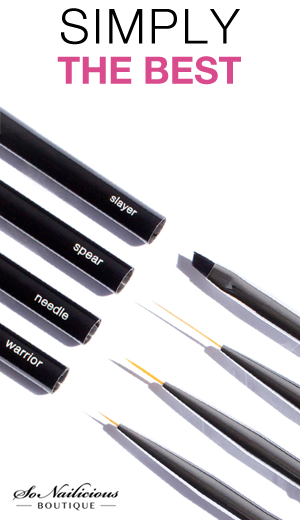 Highly pigmented and high density of glitter ensures full coverage in just 2 coats. Pictured: 2 coats with a top coat. Finish: It’s a fine purple glitter suspended in a dark purple base formula. Wearability: Very, very long lasting. It can last for a week or longer easily. 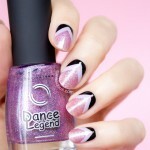 Nail Art: Great for any kind of nail art and quite beautiful on its own, as you can see! Extra notes: like all glitter nail polishes, Purple Glitter Rain maybe be hard to remove. 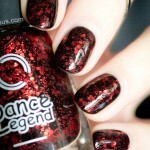 For easy removal, make sure you apply a special glitter base before applying this nail polish. Also this tutorial on how to remove glitter nail polish can come handy. Where to buy: available worldwide here – $10.90, 6.5 ml bottle. Needless to say, I’m head over heels in love with Purple Glitter Rain. 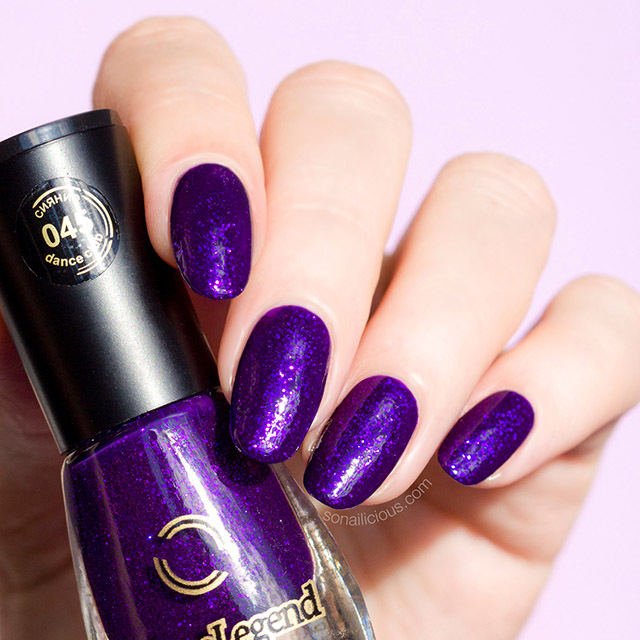 Literally, this nail polish is Ultra Violet captured in a bottle! Do you like purple nail polishes? What’s your absolute favorite? P.S. If you get Purple Glitter Rain for yourself, make sure you show me how you wear it – Tweet or Instagram me a photo with the tag #sonailicious.